Tamil » Cinema News » Vijay fans rising against ADMK! With the Lok Sabha elections nearing, a poster with the caption "This is Vijay fan's house, ADMK members need not come here seeking votes" has been turning viral, shocking ADMK circle. Tamil Nadu is all set to witness Lok Sabha elections polling on April 18, and despite the heat waves, politicians are fiercely campaigning. 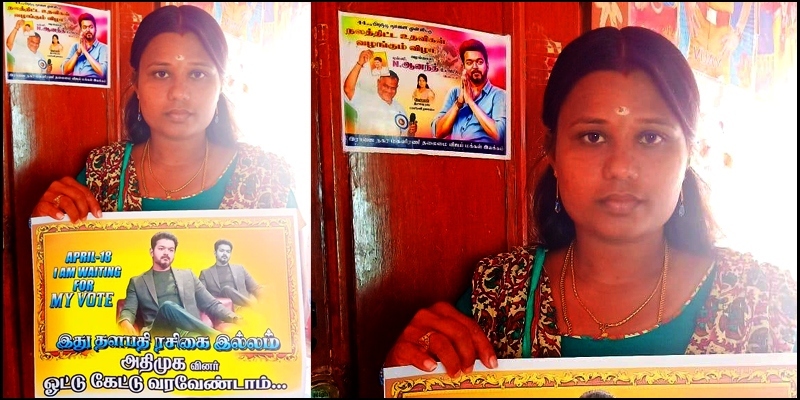 In such a situation, as a reply to the protests and opposition faced by Vijay's last release Sarkar directed by AR Murugadoss, from the ruling ADMK party members, Virudhunagar district Vijay Makkal Iyakkam women's wing leader Jagadeeswari has been campaigning against ADMK. 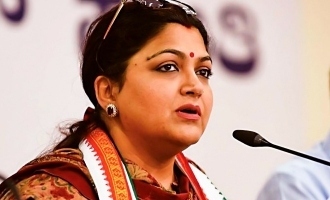 She had said that during Sarkar release, ADMK members destroyed the banners erected by them in their own money and did not even listen to their words, and no fan has forgotten what they did. 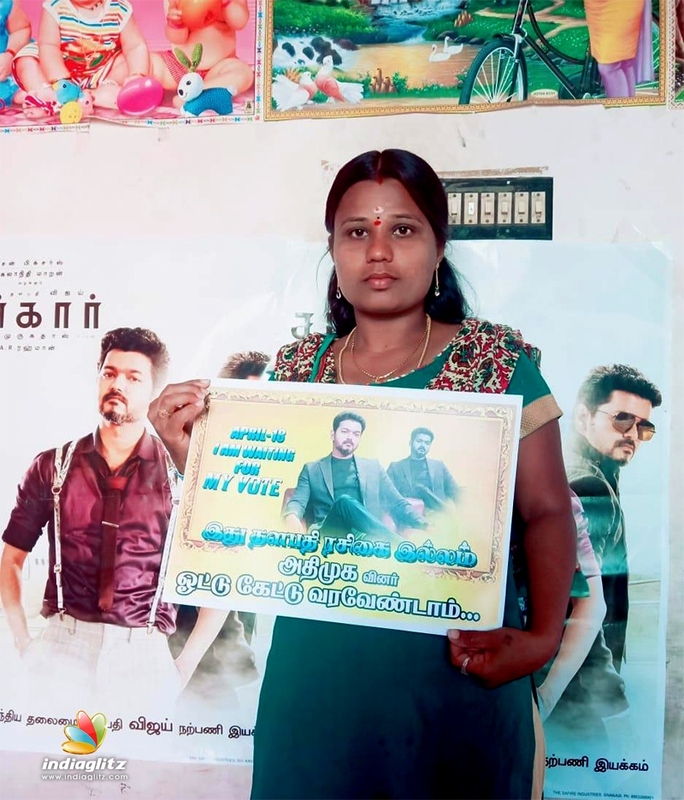 This was the reason she had made the poster against ADMK and since Vijay fans are hating ADMK after Sarkar protests, this is the way we can register our anger, said Jagadeeswari. Son kills hospital staff for affair with mother!